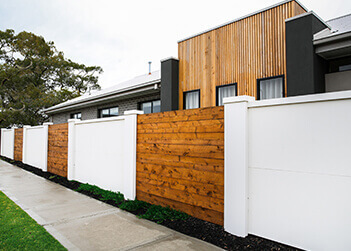 Our residential boundary walls provide privacy, style and structure to your outdoor space while enhancing the look of your property. 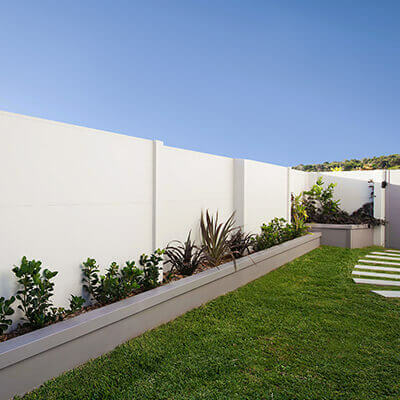 A residential boundary wall made by ModularWalls provides all the durability you require. 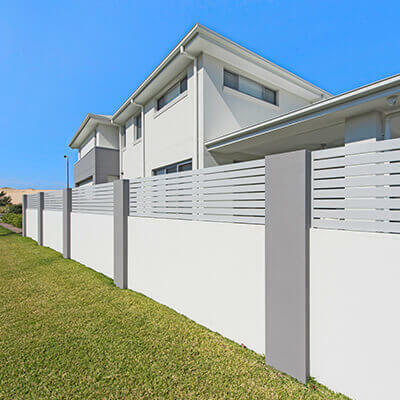 Its premium design, acoustically rated panels and security, along with customised features such as integrated lighting and retaining, can connect the wall to other garden structures and the home. Save on labour costs by choosing the DIY installation kit and receive turnkey Head Office assistance. From advice on material choices and site planning, to 3D drawings and installation guides, to 7-day phone support – we’re with you every step of the way. Simply dig holes, concrete the posts in, slide in your panels and apply the finish of your choice – it’s that easy! 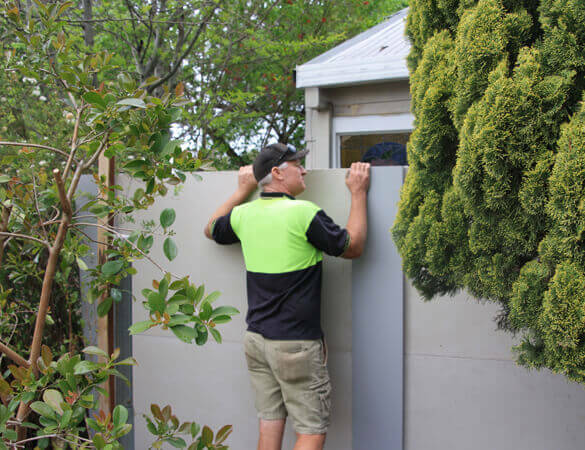 Make use of our Trade Partner Network and get into contact with a skilled, reliable tradie in your area that we trust to quote and install our product correctly and efficiently. Receive a free, no obligation quote, and have the opportunity to discuss your options and preferences with a qualified, experienced, skilled tradesperson. 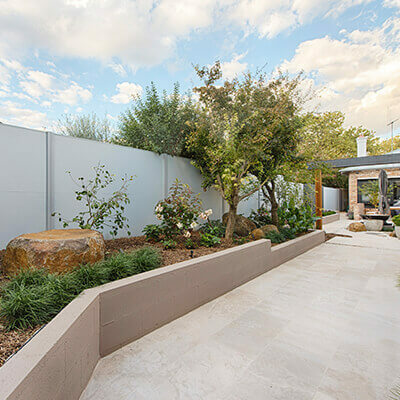 A newly renovated home in Orange, NSW, utilised SlimWall boundary fencing around their meditation garden, to complement the modern aesthetic of their home. 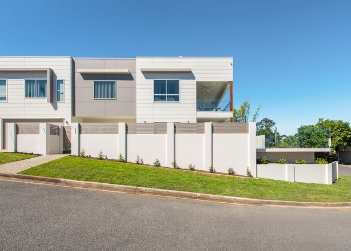 Sloping blocks present some truly unique landscaping challenges; but now, you can seamlessly integrate retaining into your boundary wall! 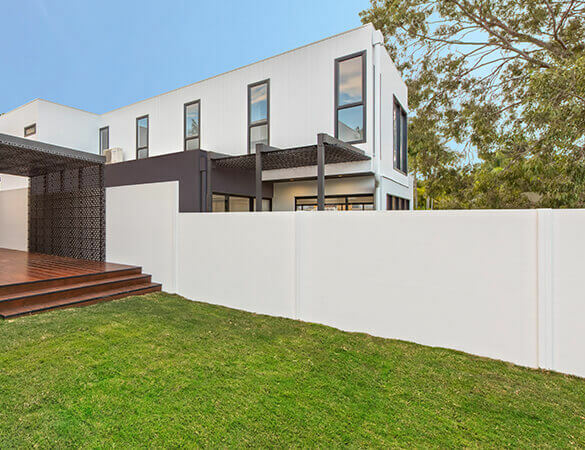 The developers of a residential project in Melbourne opted to use EstateWall for its impressive appearance, high level of adaptability, and greatly reduced cost. Get Started on your Boundary Wall today! Push the boundaries with our sleek, durable designs.